Sometimes walls call for a little something more than typical framed art. 3-D wall art can be the answer. Of course, since art can be pretty pricey, creating your own 3-D wall art is a great alternative. 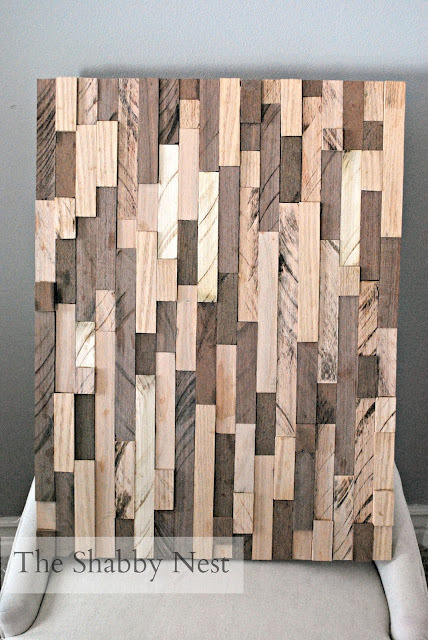 Today, I thought it would be fun to share a few of my favorite 3-D wall art projects from the old blog. 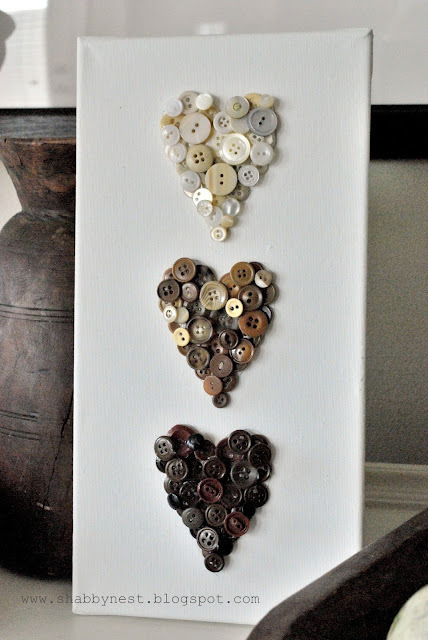 First up, the idea behind this ombre heart button art can be easily adapted to create several different designs. I used it to create a button monogram as well. 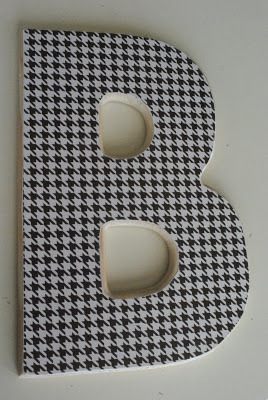 One of my most-pinned projects, this mod podge wooden letter is simple to create and a lot of fun! Finally, I really love this wooden art piece. It adds such texture and interest to a space. Let me know if you try any of these projects. I'd love to see what you come up with!